Welcome to the most important leaderboard in golf. A leaderboard so important that to get on it you only have to try once. In what could be the most scientificy science testing of golf balls I will try to find the best golf ball out there. And how I’m going to do that it thus. I will buy a sleeve of brand new (never played) golf balls and play 18 holes at Rackham Golf Course in Huntington Woods, MI (my local course) from the white tees which I typically do once a week during the summer. I call it the Super Bowl Testing Method. Much like the Super Bowl, each golf ball gets one shot to win the title. All the variables which can be controlled (course, clubs) are the same. But like in the Super Bowl you cannot control the weather, energy levels, if I partied the night before, etc. 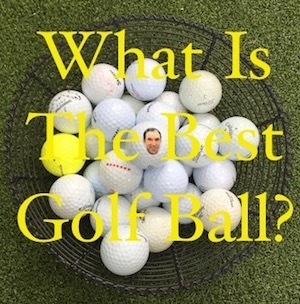 If the golf ball truly wants to be the winner than it will need to overcome those factors which cannot be controlled in some silly testing facility. This is the real world and this is sciencey science. Lowest score wins the title of best golf ball. Thats it. That’s all that matters anyways, right? We must now find out how good these golf balls are which means we must hand the golf balls over to our tamed golf ball driver. Some say that when he has a kick in birdie his leg grows. And that when any cart girl sees him her leg shrinks. All we know is that he’s called the Brad Gibala. 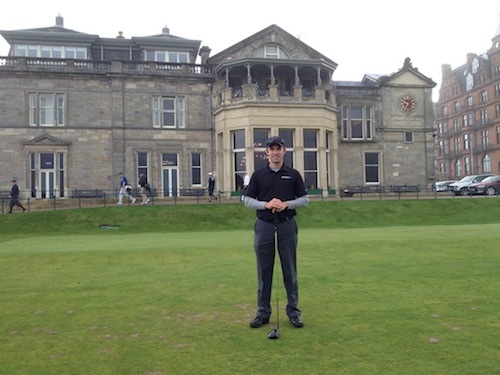 Tiebreakers are determined by Greens In Regulation (GIR) then Putts, and finally Fairways Hit. To figure this out I will take the price per ball (assuming a dozen golf balls bought without a quantity discount) divided by the amount of strokes. Check out the value with the Vice Tour vs the Titleist Pro V1. Same score for half the price. What a deal!! No testing facility needed for this critical piece of information. Going 100% off how I remember driving, hitting fairway woods, and hitting irons with the ball that day. And that’s whats important. There were some ties but what the chart above tells me is the balls designed mostly for distance do just that. They go. The premium golf balls like the Titleist Pro V1 and Vice Pro Plus are just barely behind in distance but excel in other areas. But if none of those other things matter to you and all you care about is hitting bombs then buy the golf balls in the #1 spot. Sometimes the score doesn’t tell the complete story. If I had to make a list of my top 5 favorite golf balls with only how I liked it taken into consideration than this would be the list. 1. Vice Pro Plus A complete golf ball at half the price. 2. Titleist Pro V1 The original complete golf ball. 3. Bandit SB Can’t tell you why. 4. FLOATER Yes. A floating golf ball. 5. Dixon Spirit A golf ball made for her but for him. 6. Volvik Vivid A very durable and forgiving golf ball. 7. Nike PD Long Hitting bombs. 8. XXIO Aero-Drive Because its a tank of a golf ball. There is no rhyme or reason as to what golf balls I buy before heading out to play. Once or twice a year I head to the golf store near my house and buy a bunch of different sleeves of golf balls. When I go through those I go back and repeat the process. I play enough golf outside of my weekly round to use up the golf balls. Sadly, I do lose a golf ball from time to time in my testing which I outline in each individual golf ball review. If I truly hate a golf ball I will use it on my backyard target green I built as I hit those quite a bit when I’m back there with the kids. Hopefully all of this un-science will help you in picking the best golf ball for your game.